This book provides studies related to the science of plant-microbe interactions as presented at the 10th International Congress on Molecular Plant-Microbe Interactions. 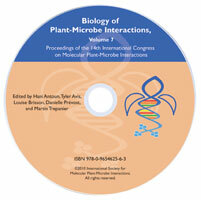 The Biology of Plant-Microbe Interactions, Volume 3 provides studies related to the science of plant-microbe interactions as presented at the 10th International Congress on Molecular Plant-Microbe Interactions. Major themes include: recognition of pathogens by plants, defense signal nematode interactions, secretion of Avr and Vir factors, ecology and population biology of plant-associated microbes, cell biology of plant-microbe interactions, plant-rhizobium interactions, and functional genomics and biotechnology. Forty-nine figures, a subject/author index, and bibliography further enhance this title’s emphasis on new research on the molecular basis of disease resistance. The book demonstrates the practical application of virally-induced gene (RNA) silencing (VIGS) as a tool to “knock out” gene expression at will in several plants and has far reaching implications beyond the fundamental understanding of virus biology. Stunning progress on the molecular dissection of disease resistance is illustrated and points to the use of VIGS in high throughput screens of all known genes in a plant for functional studies. Pilot studies using VIGS on a large scale revealed novel genes not previously described in forward genetic screens, including a gene for chaperonin homologue. The book reports how genes required for the hypersensitive response can be separated out from those required for specific pathogen resistance, supporting earlier work on the dnd (defense no death) mutants of Arabidopsis. This volume also addresses the emerging field of genomics involving large scale, genome-wide analysis of plant-microbe interactions. Comparative analysis of whole genome sequences of pathogenic bacteria has revealed unexpected aspects of the evolution of bacterial genomes. Comparative analysis of fungal genomes provides insights on candidate pathogenicity genes. High throughput analysis of pathogenicity genes takes place both in the public and private sectors. Additionally, the book discusses systems biology as applied to plant-microbe interactions in the private sector, where speed matters. The information includes keys to the success of the systems approach to science, such as the use of refined, analytical tools that discriminate phenotypic variation while minimizing the biological variation inherent in the study of life processes and the use of flexible informatic tools for management, integration and analysis of phenomenal amounts of data. 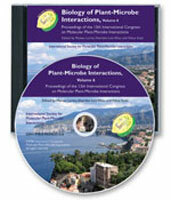 Information from this congress will prove invaluable to all interested in the science of plant-microbe interactions.